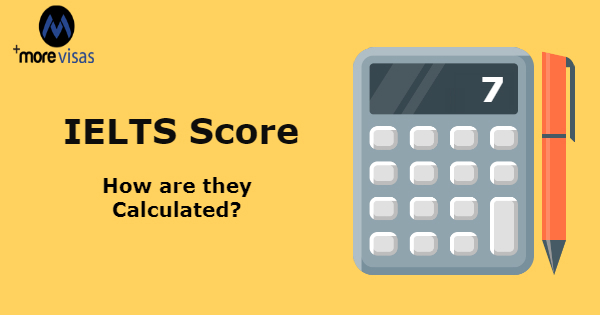 IELTS Score - How are they Calculated? Many immigrants love Canada and have a desire to shift there. While they prepare for Immigration to Canada, to explore a good life, and consider the professional opportunities, they must consider some facts. In order to move to Canada, the immigrants must also go through a system that is based on points. International English Language Testing System – IELTS is a globally recognized test. It assesses the proficiency levels of an applicant in the English language. Furthermore after taking the test it assigns the proficiency scores. The abilities put on test relate to Reading, Writing, Speaking, and Listening. The different band scores reflect the skills, aptitude and performance of the applicants. Moreover, Canada has its own benchmark called Canadian Language Benchmark to judge the fresh arrivals. By using it, the authorities check the language proficiency of the applicants. The table also allows the candidates to compare the CLB to the IELTS score, and get all the information regarding their qualification and language proficiency. There are two types of PR programs in Canada. Firstly, the Federal Express Entry Immigration System, followed by Immigration programs of the provinces (like PNP and QSWP). These Systems and Programs have different norm for IELTS. Federal Express Entry System requires a CLB 7 level. Furthermore, the Provincial Programs have different requirement for IELTS. The Immigrant Nominee Program of Saskatchewan needs a CLB 4 for its OID Stream. Moreover, the stream that is aligned with Express Entry has fixed a CLB 7 norm. The stream aligned with Express Entry in Nova Scotia Nominee Program requires a CLB 7. Manitoba Provincial Nominee Program has fixed the CLB 4 proficiency level for all experienced candidates in semi-skilled and low-skilled occupations corresponding to NOC C and D.
All the candidates can see and make a comparison of the score, for the immigration programs managed in Canada. how much marks required for express entry? may i know the procedure for canada immigration? i got 5.5 points in IELTS can i qualify for canada express entry?